Sebastian Deterding moved to position game studies in the context of convergence culture, comparing the situation with games to that of television (and television studies), where also the “classic television” had been recontextualized and complicated by the emergence of “crowdsourced YouTube series television” and similar phenomena. 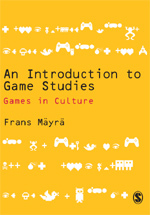 He urged game studies to move away from seeking some “eternal essence” of gameness to research of more granular units, putting more emphasis on particular cultural forms and conditions, and relying on empirical studies. Mia Consalvo eloquently outlined the “choice fatigue” that is facing students (and possibly also scholars) who are moving to the (expanded, emphatically complex) field of digital games. She also talked about the agency and identity of people working on game studies: if I only play ‘peek-a-boo’ with my baby, am I allowed to have a voice in studies, or research, of this field? Joost Raessens was questioning the implicit narrative suggested by the title of panel: we are not really moving from studies of games to studies of play, because those two have been inseparably linked and integrated from the very beginning of game studies (Joost was also quickly highlighting some lines of this thought running from Heraclitus, Schiller, Nietzsche, Wittgenstein, Heidegger, Gadamer, Marcuse, Deleuze and Derrida – to Sutton-Smith, Zimmerman and Sicart). Himself working on the ludification of culture, he saw the study of play element in culture at the centre of game studies project, explaining how Huizinga’s broad-ranging thought in Homo Ludens still resonates strongly within game studies community. Pointing towards the recent book Playful Identities, Joost concluded by suggesting how ‘ludic identity’ could be articulated and analysed from at least three key perspectives. From ontological concepts we should move to more epistemological approaches. Seth Giddings was putting forward a beautifully written (and read) argument on how the play of animals and children can not be fundamentally separated, and what kind of consequences it has on including ecological and ethological approaches to the repertoire of this field. 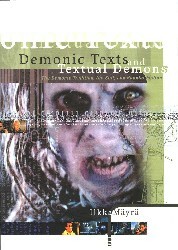 Torill Elvira Mortensen took issue with ‘dark play’, discussing the internal conflicts and frustrations of (unemployed) youth – something that can perhaps been positioned at the background of the hatred and aggression that has recently exploded to the forefront of digital “gamer” cultures. Games and play can easily be utilized as a sort of “disarming rhetoric”, where “boys will be boys”, “it is just play” or “it is just trolling” can be used to justify all kinds of acts of violence and dominance. Torill reminded us that play and games, while ancient, are not “natural” or beyond critique, and that the entire field is deeply embedded in various (hegemonic) power structures. Kristine Jørgensen kind of summarised the entire panel by at first outlining the current situation, where game studies is highly relevant for surrounding culture and society, with play infusing many different aspects and dimensions of culture and society. Player demographics are currently emphatically diverse, players hold high profile as consumers, paralleled by highly visible roles that game industry holds in (popular-cultural) economics, and game forms as a medium of expression. But such notable position also comes with a price: there are increasing pressures from within and outside of academia to how games and play should be approached – or exploited. Game studies are being challenged by other fields and disciplines that also want to include games and play into their agenda, and the distinctiveness of game studies is indeed under increasing pressure to dissolve, or disappear. In the ensuing discussion, the “pyrrhic victory of game studies” (Sebastian) was debated: had game studies made itself ‘unnecessary’ in the process of becoming the highly successful ‘science of everything’ through the expanding range of gameful, playful and otherwise play-related approaches and expansions of its research field? Some, like Joost celebrated the success and potential of game studies to bring together and build bridges between theoretical and practical, humanistic, social-scientific and design research work. Sebastian suggested that the best “survival strategy” for game studies would be to adopt design science approach at its core, since that would be the best way of arguing for its sustained societal impact and relevance. From the audience, Annika Waern commented that HCI (human-computer interaction) research field is an example of how this already has been attempted for more than two decades, without resounding success – even while design practitioners are indeed frequenting HCI conferences, more than game designers would be participating in DiGRA or other game studies’ scholarly events. Annika saw that game studies academics are much stronger currently in analytical, theoretical work on foundational issues of games and play research, and there is also the danger of becoming subservient to industry (with its typically more practical, and short-to-medium-term interests), if design science would be emphatically set as the sole, dominant organising principle of game studies. Other take-aways from this stimulating session included e.g. Sebastian’s suggestion that the optimal game scholar is “T-shaped”: she is capable of maintaining wide-ranging collaborations and discussions on topics that cross disciplinary boundaries, while having also “in-depth” knowledge and academic capabilities in some area of specialization.